Where is the Money Coming from for the Multi-billion Dollar Election Advertising Campaign of President Rajapaksa? The arrogance and extravagance of the Rajapaksa family regime is all too visible in their latest jaunt to Tirupati in South India. The trip was scheduled in the heat of the election cycle, when the forces opposing his rule are agitating for change and the end to the plunder of this state by a single family. Undoubtedly, President Rajapaksa needs divine intervention at this Presidential election. He will have to look to the heavens to try to win back the favour of the people, who have tired of his nepotism, corruption and self-serving administration. But as the opposition in this country we are obligated to query where the money came from for the President’s recent devout excursion. Who is incurring the enormous costs of the president and his entourage of lackeys who travelled to Tirupati on a special aircraft hired from SriLankan Airlines? In addition to the enormous costs of chartering a plane, there is a larger loss of revenue from the aircraft being removed from its normal schedule. Paying passengers are left stranded in numerous airports and SriLankan Airlines is being forced to incur those costs as well. If this was truly a family airline as President Rajapaksa thinks it is then we the public could have looked the other way. But all these costs are borne by the Sri Lankan tax-payer. We pay for both the costs and the losses while the Rajapaksa family treats the national carrier like their personal air limousine service. 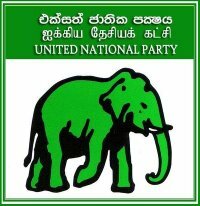 At a time when the whole election focus is on extravagance, corruption and wastage of the Rajapaksa regime, the disregard of public opinion is emblematic of the the power lust and ‘to hell with the public’ attitude that has been the hallmark of this rule.And this is what the voters are determined to defeat at this coming election. Our one proud national carrier, SriLankan Airlines has been a loss making enterprise since 2008, the year President Rajapaksa forced its international partners to withdraw over a personal incident. Since then the airline has incurred losses over Rs 91 billion up to 2013. With another record loss in 2014 in the offing, the losses will rise even further. This is no surprise however because just like everything else in the Rajapaksa regime family and friends have taken precedence over capability and qualification. Without a doubt, the Rajapaksa regime has unleashed a multi-billion dollar campaign to ensure it does not lose its grip on power in January. The advertising campaigns and cut-out onslaught provides ample evidence of the spending power the regime commands. Where does this money come from? Who funds this mega-campaign? Does this money come from state coffers? Or is it the Rajapaksa campaign’s personal funds? In which case, how did this president and his family coterie amass this quantity of wealth? Has President Rajapaksa submitted a declaration of his assets to the Commissioner of Elections? If the common opposition candidate can do so, and make his declaration publicly available, there is no reason why the incumbent should be exempt. President Rajapaksa has questions to answer. If he fails to do so, his extravagant campaign alone will be unshakable evidence of his corruption and plunder for nine long years. And it will be reason enough to send him and his long list of family members home on January 8. The time to end this circus has come. It is time to send this group of pillagers home. The people have had enough. They seek change. We call upon the the Commissioner of Elections to discharge his duties with diligence and impartiality. We demand that the Elections Secretariat insist that candidates submit their asset declarations. As Commissioner, Mr. Mahinda Deshapriya is constitutionally empowered to disqualify candidates who fail to abide by election laws. Three days after the nominations period ended cut-outs and posters of the candidate Mahinda Rajapaksa still litter the streets across the country. The material is giving rise to anger and contempt among the general public. Yet why does the Commissioner drag his feet? Why will he not put his words to action? The people are crying out for a free and fair election, but the signs of such a clean, democratic battle are already fading. Mr. Commissioner, the ball is very much in your court. The decision of the people has already been made. The signs are visible everywhere. We urge you to take the strongest possible action against those candidates or parties attempting to thwart the will of the people. Nothing can stop the wave that has started against the inglorious rule of the incumbency, and if the Elections Commission stands in their way, the people will remember and condemn you for it. You can decide to be a lackey of the incumbent, or you can choose to be a model democrat, a servant of the state, whose true masters are Sri Lanka’s people. From where is Medamulana MaRa getting all these funds to waste so profligately ? Here is the answer..